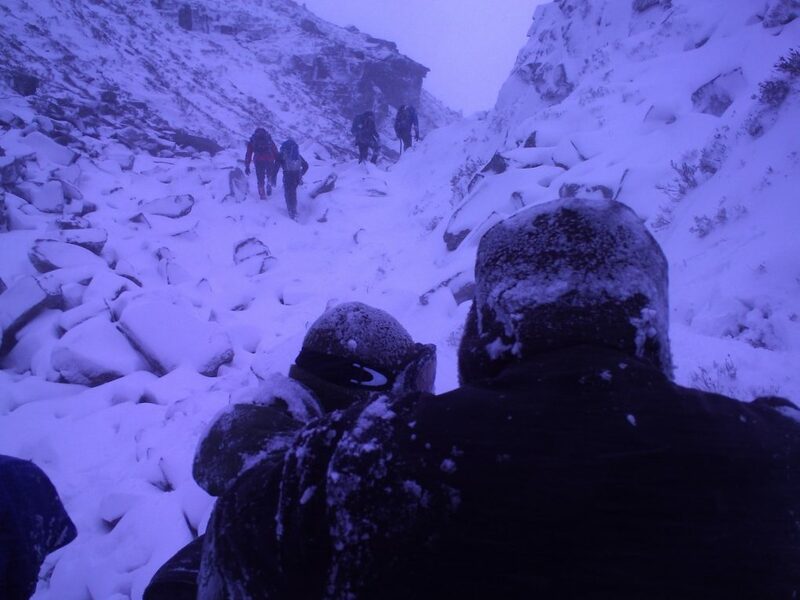 Many young people are taking part in more adventurous mountaineering either with friends, through a club / youth group / scouts / DofE / or with family and friends. 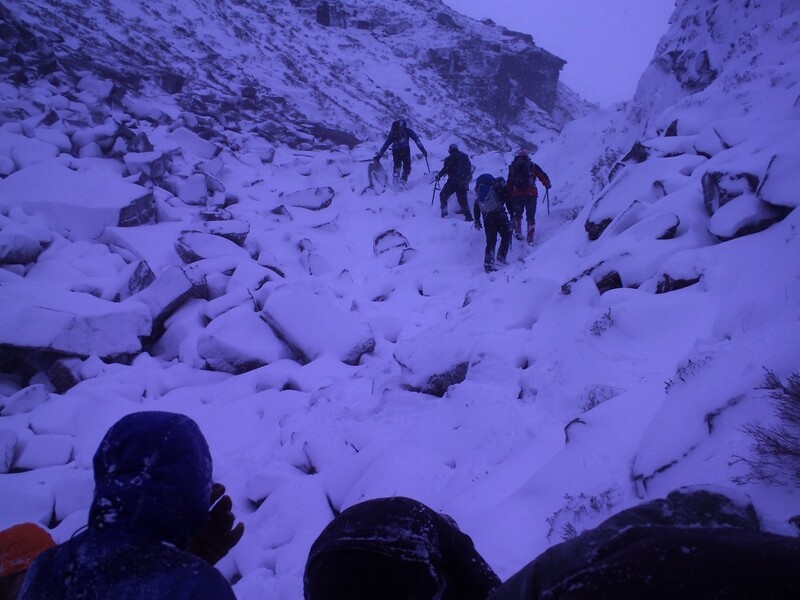 In the nature of things – in our shrinking world – there are now more easily accessible mountain adventures open to younger folks – as part of a gap year or simply a progressive interest in the outdoors. 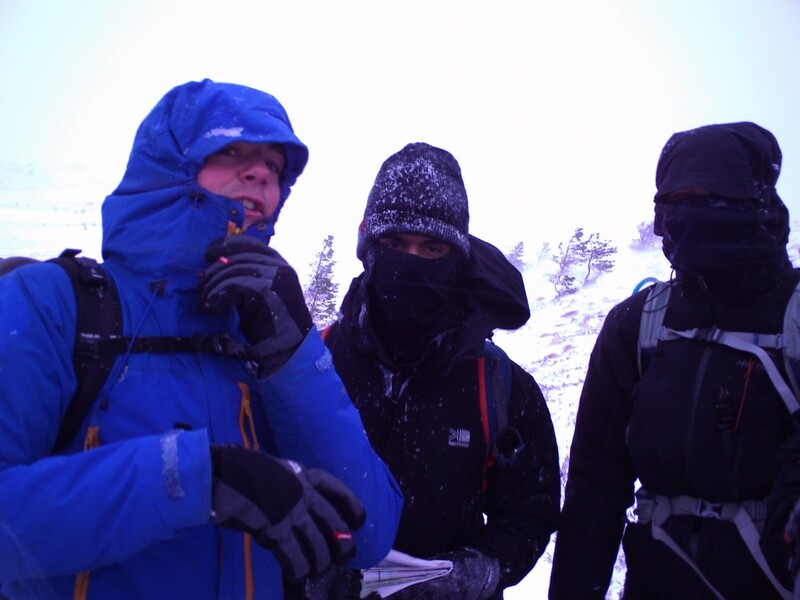 What better way to spend part of the Christmas, New Year, February half term, or Easter break with friends or like minded other young people learning the basics of winter skills. 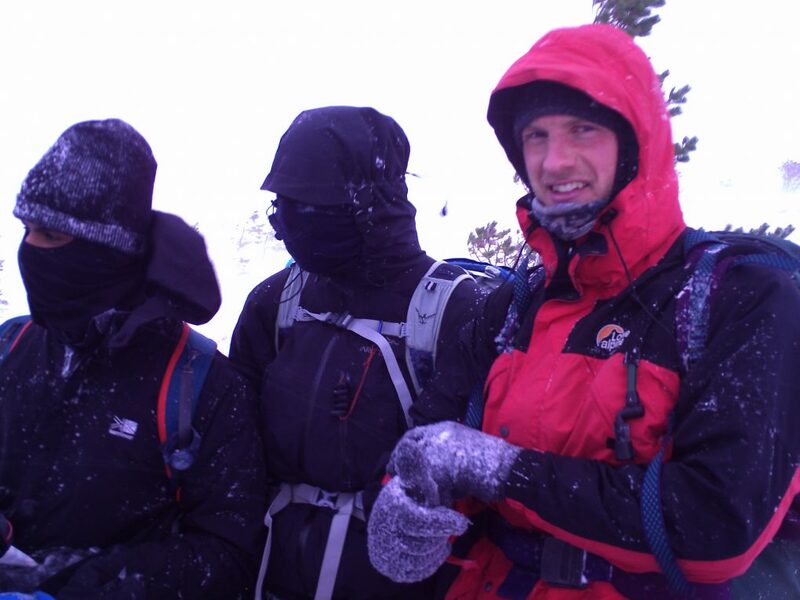 This could be in preparation for a summer expedition or a first trip to the Alps, a DofE Gold Residential Course, or an ideal way to extend summer hill walking into an all year round activity. 2 Day week end or 3 day mid week or 1 day private guiding. The minimum course duration is 2 days. 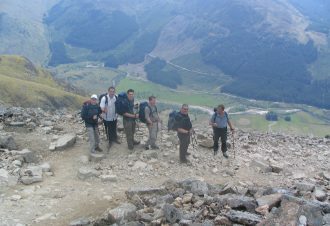 Given the progressive nature of the course we only accept bookings from the first day. 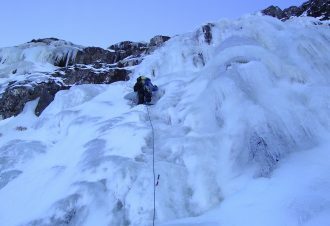 We do not accept younger folks on 5 day courses and would always suggest a couple of shorter courses rather than a longer course. 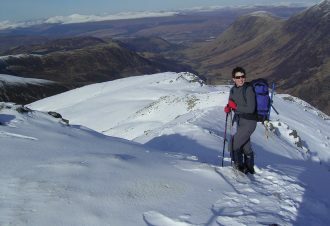 Designed for younger folks with experience of summer hillwalking our introduction to winter mountain walking programms offer an ideal, cost-effective opportunity for younger novices to learn the requirements of winter mountain equipment and clothing – before investing heavily in buying specialist gear. 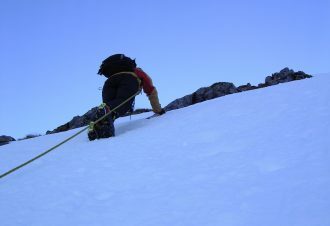 What is included Our winter mountain prices include: – All technical gear is supplied but if you do not have them ice axe, crampons will need to be hired at extra cost from us along with suitable stiff winter boots. 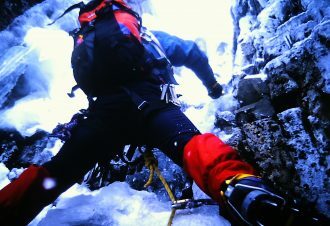 We provide harnesses; helmet; all technical climbing gear such as karabiners; belay plates etc; all survival and safety gear; ropes. Please see our Winter Kit List. 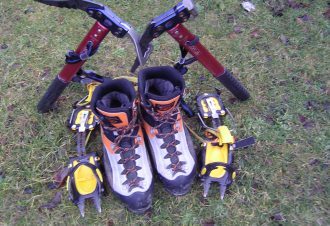 Not included in our standard basic prices: -suitable winter boots; ice axe or crampons; map & compass; rucksack; any personal clothing – however most of these items can be provided or hired economically from us on site from our stores. 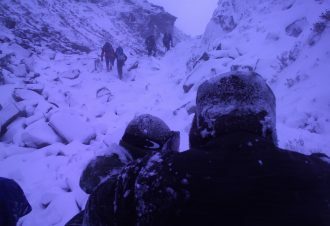 Gondola uplift tickets at Nevis Range are also required for possibly the first one or two days – depending on the weather conditions. 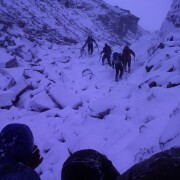 Except for an initial briefing & essential Winter Mountain Safety talk the course will all take place out “on the hill”. 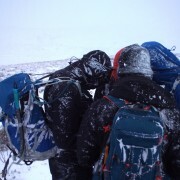 Winter Mountain Navigation, proper use of ice axe and crampons for safe travel through the Scottish mountains in winter. 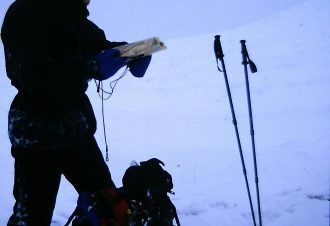 The assessment and prediction of avalanche and winter weather conditions will also be covered along with survival techniques. 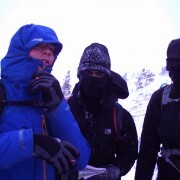 Where a more technical programme is required for maybe a part or whole group who already have some winter experience the course is based on our Winter Mountaincraft Course. Here a lower ratio of instructor / student will apply along with a higher daily rate. 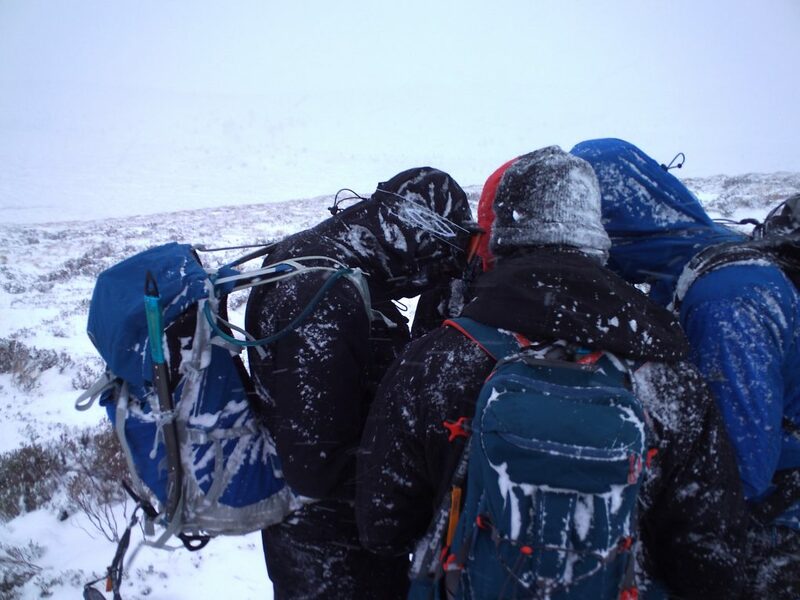 join a group of friends aged 16 + years, ideal as a DofE Gold Residential course or get the skills required for other great adventures.